Tris Dixon is the former editor of Boxing News and now presents No Filter Boxing on BT Sport. He wrote about his first fight in 1996 and has since covered thousands of events in more than a dozen countries and on several continents. 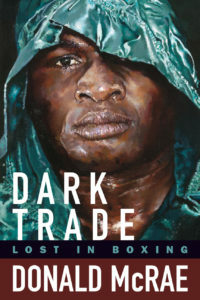 He has authored three books about boxing: The Road to Nowhere, Money: The Life and Fast Times of Floyd Mayweather, and War and Peace: My Story, which he ghostwrote for UK boxing idol Ricky Hatton. He is also the host of the Boxing Life Stories podcast. Frank Lotierzo Frank Lotierzo is also a staff writer for NY Fights. Over the years, his work has appeared in The Sweet Science, Boxing Illustrated, Fight Game, and Boxing Scene. In the late 1970s and early 1980s, he was an amateur boxer based out of Philadelphia and trained by George Benton. He is a member of the International Boxing Research Organization and an ex-member of the Boxing Writers Association of America. He can be reached at glovedfist@gmail.com. The founders of Hannibal Boxing Media are Kyle Sarofeen and Andy Komack. Learn more about them on the Hamilcar Publications portion of the Hannibal site. Andy does lots of things, but he does not write about boxing.